The UCLA Luskin School of Public Affairs has a global network of more than 8,000 alumni living and working in more than 40 countries. 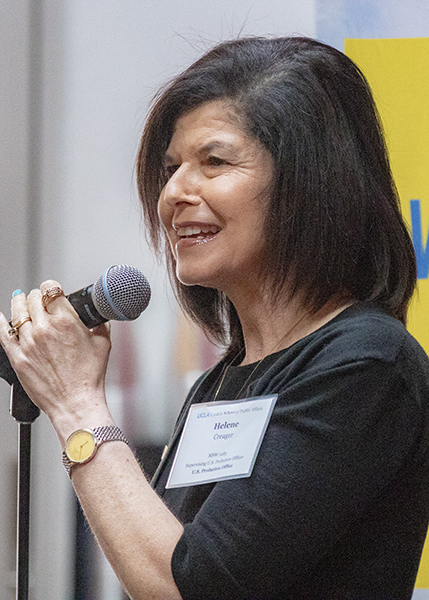 UCLA Luskin’s Office of Alumni Relations seeks to engage all Luskin alumni in a meaningful way that facilitates a lifelong connection with each other, the School, and encourages support and guidance for future generations of Luskin students and fellow alumni. Network with fellow alumni & students via UCLA Luskin School of Public Affairs’ university page on LinkedIn. Click “Save” and your profile will automatically connect to UCLA Luskin alumni & student profiles via the UCLA Luskin LinkedIn university page so you can network with fellow Luskin-ites! Alumni of the Year awards honor members of the alumni community who have been impactful through community service, public service, University service and/or professional achievement. By recognizing alumni, the award hopes to inspire leaders and change agents who advance solutions to society’s most-pressing problems. The 2018 MPP Alumna of the Year Award is Jaime Nack MPP ’02. Nack is a double Bruin who is the president of environmental consulting firm Three Squares, Inc. and also serves on the Board of the UCLA Alumni Association. 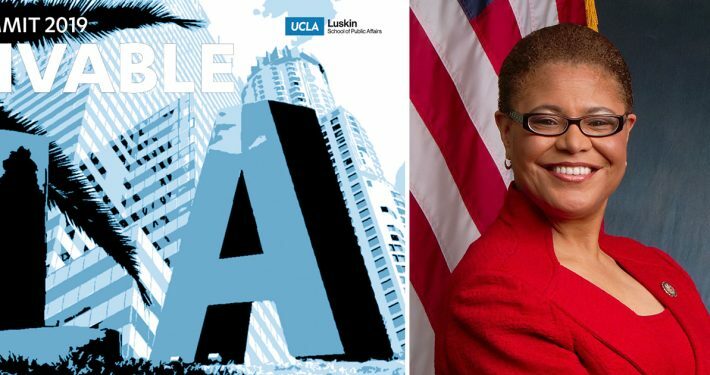 We are delighted to honor Jaime’s achievements, leadership, and service and encourage you to read more about her accomplishments featured in the April 2018 issue of UCLA Magazine. Nack credits UCLA with helping her meld her interests and foster her career. UCLA Luskin Social Welfare has recognized Wilfred “Bill” Coggins, a member of the Social Welfare graduating class in 1955, with a Lifetime Achievement Award. Former vice chair and longtime director of field education at UCLA Luskin, Joseph A. Nunn MSW ’70 PhD ’90, was on hand at Loteria Grill in Hollywood on May 19, 2018, to introduce Coggins, who was the first-ever recipient of the Lifetime Achievement Award. 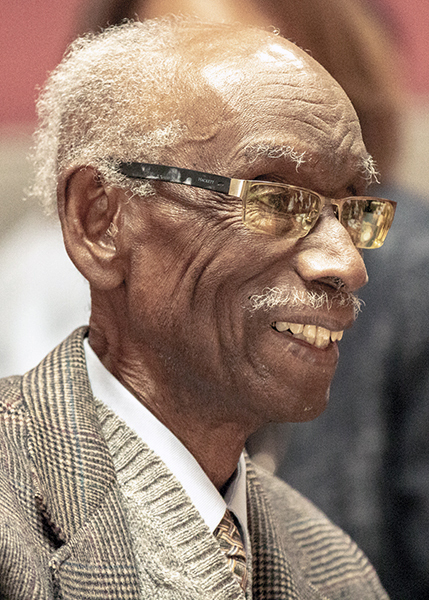 Since 1967, Coggins has been known for his work in Watts and for founding and serving as director of the Kaiser Permanente Watts Counseling and Learning Center. Through his leadership and clinical experience, a center that started as a “loosely defined program” for children and their parents became the important community service that today continues to provide counseling and educational services to the Watts community. 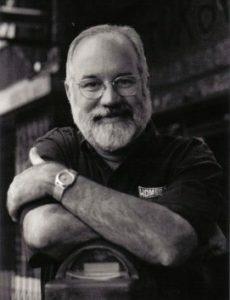 Coggins’ wide-ranging career has included stints as a psychiatric social worker for the Suicide Prevention Center in Los Angeles, providing therapeutic treatment for patients at the Wells Medical Group in Arcadia and serving as a senior psychiatric social worker for the Veteran’s Administration. He has also done work assisting the developmentally disabled. Read more about Coggins and view photos from the event. Helene Creager MSW ’85 is the 2018 recipient of the Joseph A. Nunn Alumna of the Year Award, honoring members of the UCLA Luskin Department of Social Welfare. It is named in honor of Dr. Joseph A. Nunn, alumnus and former vice chair and director of field education for the Department of Social Welfare. Friends, family, faculty and coworkers jammed Loteria Grill in Hollywood on May 19, 2018, to celebrate Creager, a supervising U.S. probation officer. Creager received her award from Professor Emeritus Alex Norman DSW ’74, who had nominated her and is also the person who first encouraged Creager to pursue an MSW at UCLA. “She has distinguished herself at every level of her professional employment,” Norman said. In 1995, Creager joined the U.S. Probation Office for the Central District of California. 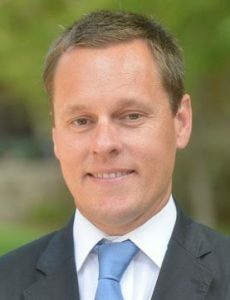 Creager has served in a number of roles bringing a social justice emphasis to posts ranging from clinical director of a youth center for wards of the court and the Los Angeles County Probation Department. During her time as an undergraduate psychology major at UCLA, she enrolled in a class taught by Norman — her first exposure to social work. “Meeting Dr. Norman and taking that class motivated me to obtain my master’s in social welfare instead of psychology,” she recalled. 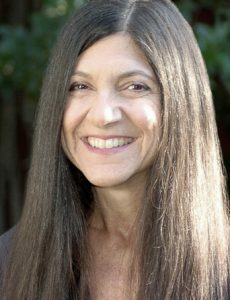 Creager has served as a field instructor for UCLA students, and her career includes work as a treatment team leader of the supervising and treatment staff at Dorothy Kirby Center. Since 1995, Creager – who plans to retire this year – has been serving with the U.S. Court Office, Central District of California. There she has led the implementation of STARR (Staff Training Aimed at Reducing Re-Arrest), which is a set of skills that U.S. Probation Officers can use in their interactions with the individuals they supervise in the community. She has also provided training and assisted in other districts in implementing STARR. Read more about Creager and see photos from the event. Tanzila “Taz” Ahmed MPP ’07 was named as 2017 alumna of the year by the Department of Public Policy. Based in Los Angeles, Ahmed is an activist, politico, and storyteller. Ahmed has mobilized thousands of Asian American & Pacific Islanders to the polls in more than 17 different languages over the past 15 years. At the age of 25, she founded South Asian American Voting Youth (SAAVY), a national organization that empowers South Asian American youth to have a political voice. She is currently Campaign Strategist at 18MillionRising.org, an organization for the Asian American community focused on new media and AAPI civic engagement. Ahmed’s innovative use of media and art in her pursuit of activism has brought her many honors, including being selected as one of ten individuals honored by President Barack Obama as a Champion of Change for AAPI Art and Storytelling. Ahmed embodies the kind of change agent we are proud to have as part of the UCLA Luskin family. Hear more by Ahmed herself via her monthly podcast, #GoodMuslimBadMuslim. The UCLA Luskin Department of Public Policy honored Charles “Chuck” Gatchell MPP ”05 as its 2016 alumnus of the year. Gatchell, based in Portland, Oregon, is Vice President/General Manager of Olympics & Athletes at Nike. With a passion for “thinking big, game-changing innovation, enabling and unleashing creativity, sustainability, purpose-driven organizations and human potential,” Gatchell embodies the kind of leader that we are proud to have as part of the UCLA Luskin network. He received his B.S. in Management from UC Berkeley where he also ran cross-country and track, and then earned an M.S. degree in accounting at the University of Virginia before receiving his Master of Public Policy degree at UCLA Luskin School of Public Affairs. Gatchell is the first MPP alumnus to join and serve on the UCLA Luskin Board of Advisors. 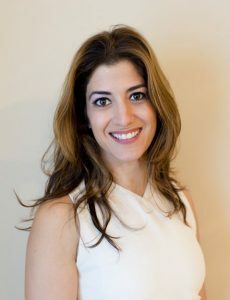 Nurit Katz MPP/MBA ’08 has been named 2015 MPP Alumna of the Year by the department of public policy for her outstanding work in sustainability and support of the MPP Alumni Fellowship. As UCLA’s first ever chief sustainability officer and executive director of UCLA Facilities Management, Katz ensures that the university reaches its goals in all areas of sustainability by bringing campus communities together. She establishes strategies for marketing, campus awareness and other topics in campus sustainability. She also at UCLA Extension for the Global Sustainability Certificate Program. Nathalie Rayes MPP ’09 has been named 2014 Alumna of the Year by the Department of Public Policy for her exemplary public service, philanthropy, and professional achievement. Rayes currently serves as Vice President of Public Affairs in the U.S. for Grupo Salinas, a Mexican conglomerate with $5 billion in annual sales and its companies operate in Mexico, El Salvador, Guatemala, Honduras, Peru, and Panama. Rayes earned her B.A. in sociology with honors at UCLA, commencing her public service career working as deputy to then-Los Angeles City Council Member Mike Feuer. Upon completing her Master of Public Policy degree, Rayes returned to Feuer’s office as his senior policy advisor. After the Mayoral election, she was appointed Deputy Chief of Staff to Los Angeles Mayor James K. Hahn. After more than six years of public service, Rayes joined Grupo Salinas. Aurea Montes-Rodriguez MSW ’99 is the 2017 recipient of the Joseph A. Nunn Alumna of the Year Award, honoring members of the UCLA Luskin Department of Social Welfare. Montes-Rodriguez is the Executive Vice President of Community Coalition, a social justice non-profit based in South Los Angeles that serves as a vehicle for everyday residents to tackle the most pressing community issues resulting in concrete public policies to create quality schools, safe neighborhoods, a strong social safety net, and positive economic development. She brings a wealth of experience as a community organizer and champion for equity. Montes-Rodriguez was born in Mexico and raised in South LA where she developed a passion creating change at the local level. She has worked to improve community health by leading the effort to build the organization’s headquarters into a permanent community institution for social justice. 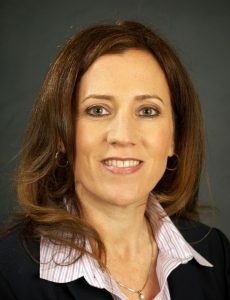 She led efforts to achieve in-district reform during the LAUSD’s restructuring of Fremont High School in 2009, one of the lowest performing schools in Los Angeles. 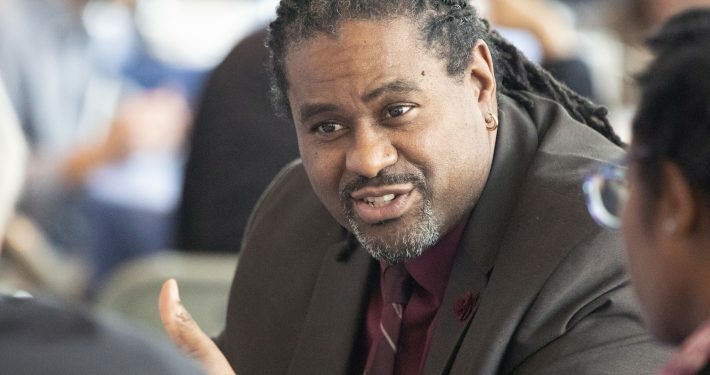 Today, the school has nearly eliminated suspensions, boasts an attendance rate of over 90%, and has increased the graduation rates from 19% to 77%. Fremont has also established career pathways to prepare students for college and 21st century careers. 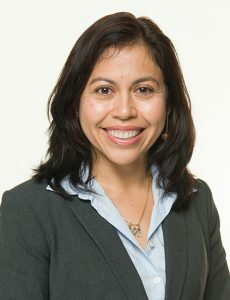 Montes-Rodriguez is a co-founder of Partners for Children South LA, a multiagency organization that seeks to improve children’s development and reduce the risk of involvement with the child welfare system. She is also a member of the Building Movement Project working to build capacity within the non-profit sector to promote social justice efforts at the national level. Aurea was honored at the Social Welfare Alumni Gathering on Saturday, May 20th, 2017. Read more about Montes-Rodriguez and see photos from the event. Tracy Colunga MSW ’11 has been worked in community development and safety for the city of Long Beach since joining Development Services in 2012. 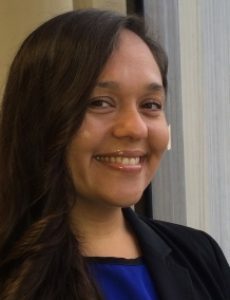 As part of her current role as director of the City’s Innovation Team (i-team), Ms. Colunga brings more than 10 years of professional experience with the City of Long Beach, including eight years in a management capacity. Under her leadership, the City garnered $3.1 million in federal, state, and private grants to work with residents to co-create human-centered solutions that improve safety and livability. She spearheaded the development of Safe Long Beach Violence Prevention Plan, the City’s Language Access Policy implementation and most recently My Brother’s Keeper Long Beach Local Action Plan implementation. In addition, she oversees the Long Beach Human Relations Commission and the Long Beach Gang Reduction and Intervention Program. She administered the U.S. Department of Justice Weed and Seed Grant for the Long Beach Health and Human Services Department from 2007 to 2012. She started her career with the City of Long Beach as the Early Childhood Education Coordinator in 2006. Two-time UCLA Luskin alumna Melinda Morgan MSW ’89, PhD ’98 was named the 2014 Joseph A. Nunn Alumna of the Year for her commitment to helping military families. For more than six years, Morgan served as site director of the Camp Pendleton FOCUS Program. FOCUS (Families OverComing Under Stress) is a resilience training program for military families, children, and couples implemented in 2008, in collaboration with the UCLA Semel Institute for Neuroscience and Human Behavior and the U.S. Navy Bureau of Medicine and Surgery. The program, now part of the UCLA Nathanson Family Resilience Center, is in operation in over 20 sites around the world and has provided services for more than 500,000 service members and their families. 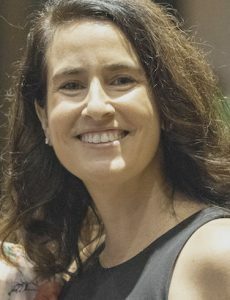 After graduating from UCLA with a major in Women Studies and Chicana/o Studies in 1994, Debra Duardo earned her Master of Social Welfare degree at UCLA in 1996 with a specialization in school social work. Since that time she has earned her school administrative credential and her Ed.D. in the Graduate School of Education and Information Studies at UCLA. Following completion of her MSW, Debra started her career serving as a school social worker and the Healthy Start project director at Wilson High School. 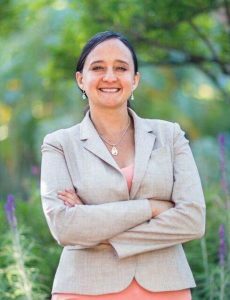 Dr. Debra Duardo was appointed Los Angeles County Superintendent of Schools by the Los Angeles County Board of Supervisors effective May 15, 2016, designating her as the top education leader of the nation’s most populous and diverse county. Dr. Jorja Leap, has been a member of the UCLA faculty since 1992, with research interests focused on gangs and at risk youth. She has committed tremendous time, effort, and energy towards the reduction of community-based violence and the promotion of pro-social attitudes within violence-plagued neighborhoods. Presenting the award to his old friend and colleague, Dr. Nunn spoke with great warmth, humor and respect of Dr. Leap’s passionate commitment to her work and the tremendous contribution she has made to our school, university, and larger community. In accepting her award Dr. Leap’s remarks were typically irreverent, but also poignant and incisive, and they reminded everyone present of why she is such a beloved and well-respected figure both on and off campus. Professor Rosina Becerra presented the Social Welfare Community Service Award to then-Senator, now Supervisor Sheila Kuehl and spoke about the Kuehl’s long history of public service in both elected and appointed positions. 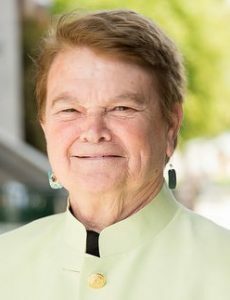 Whether serving as the first openly gay or lesbian person to be elected to the California Legislature, first woman in California history to serve as the Speaker pro Tempore of the Assembly, Founding Director of the new Public Policy Institute, or in countless other important roles, Senator Kuehl has been, and continues to be, a compelling and committed voice of advocacy for social justice. In accepting her award, Supervisor Kuehl spoke of her long history with, and commitment to, UCLA, and as she is currently serving as a University of California Regents ’ Professor, our students and faculty are members of yet another community that will benefit greatly from her service to others. Nelba Chavez MSW ’71 is among the most outstanding graduates of the UCLA MSW program. She spent the last 40+ years as a mental health activist advocating for the rights of the mentally ill. She has fought to ensure that those who are affected by government policies have a voice in their creation. 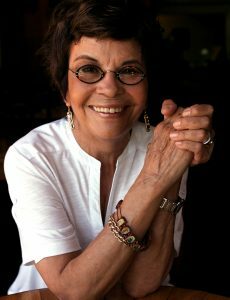 She has had a remarkable career since leaving UCLA for the University of Denver where she, among only four other Hispanic women in the United States at that time, earned her Ph.D. in Social Work in 1975. A very good example of why she was honored with the title of Joseph A. Nunn Social Welfare Alumna of the Year. Father Gregory Boyle serves as executive director of Homeboy Industries, a non-profit organization that offers employment services, mental health services, substance abuse counseling, domestic violence counseling, tattoo removal, and more to gang-involved youth. The bakery, which was rebuilt, is now joined by four more enterprises: Homeboy Silkscreen, Homeboy/Homegirl Merchandise, and Homegirl Café. Homeboy Industries, now located in the heart of downtown Los Angeles, is recognized as the largest gang intervention and re-entry program in the county, and has become a national model. Interested in speaking on a panel, serving on a committee, or helping with recruitment? Have you moved or changed jobs? Please take a moment to update your contact information and tell us how you’d like to get involved. We would love to hear from you! Update us with your professional milestones, your day-to-day victories, as well as your ideas. The Office of Alumni Relations is currently vacant. In the interim, please contact Julie Straub with any questions. 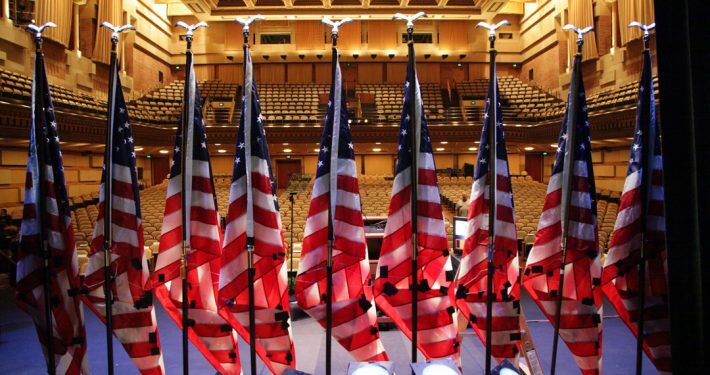 UCLA Luskin faculty, staff and alumni will join family members in celebrating the Class of 2019 at the ceremony in Royce Hall.